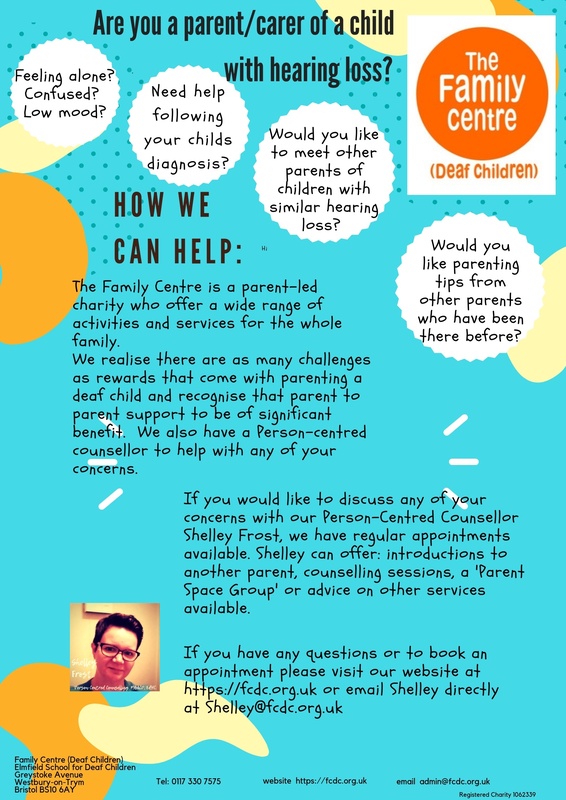 The Family Centre (Deaf Children) provide counselling support to all families who would benefit from this. Shelley Frost is our person centred counsellor who has significant experience working with deaf adults. It maybe you are struggling with communication or your child’s behaviour at home within the family or challenges with education; or family breakdown. Or be coping with one of the many other challenges within a busy family life and would just appreciate a confidential chat with our counsellor. Shelley is available by email and can arrange an initial chat with you to discuss your situation and to look at what support is best. It maybe she can help with putting you in touch with another parent who has experience of the same issues or you may decide a course of counselling would benefit you more. Shelley is able to provide this or refer you to network counselling.